I have served as a pastor for 54 years in Kentucky, Illinois, New York and Ohio and am currently serving a church north of Columbus, OH. In July of 2019 Patty & I begin our 45th year at Community Christian Fellowship in Gambier, OH. 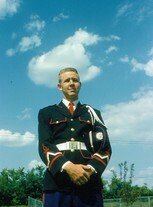 I owe much of what I am today to William Walter Hall my band director and friend. Bob Pelfrey has a birthday today. Bob Pelfrey posted a message. This is your "Twin" brother Bob! I just wanted to wish you a blessed birthday. Hope all is well with you. 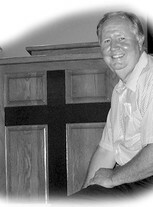 I'm about to begin my 46th year of ministry with Community Christian Fellowship in little Gambier, OH. May the Lord fill you with joy and peace. God watch over and bless you! Bob Pelfrey updated his profile. View. Bob Pelfrey added a comment on his Profile. Bob Pelfrey has a birthday today. New comment added. Bob Pelfrey changed his "Now" picture. Bob Pelfrey added a photo to his profile gallery. New comment added. Bob Pelfrey added a photo to his profile gallery. Bob Pelfrey changed his "Then" picture. Bob Pelfrey changed his profile picture.